“An assisted living residence or assisted living facility (ALF) is a housing facility for people with disabilities. These facilities provide supervision or assistance with activities of daily living (ADLs); coordination of services by outside health care providers; and monitoring of resident activities to help to ensure their health, safety, and well-being. Assistance may include the administration or supervision of medication, or personal care services provided by a trained member of staff. Assisted living as it exists today emerged in the 1990s as an eldercare alternative for people who cannot live completely independently, but are too young to live in a retirement home. How about assisted living in the comfort of your own home? 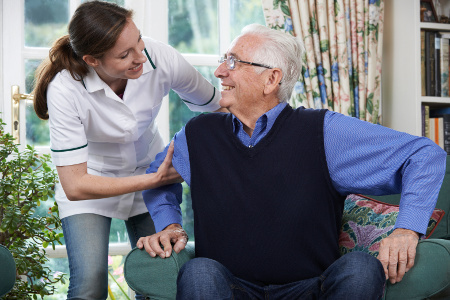 Senior Home Care companies like Retire-At-Home Services also provide assisted living services in the comfort of one’s own home, where people have lived out their elder years for generations. This is called “Aging in Place.” More and more seniors are choosing to stay in the comfort of their homes while bringing the services they require to them. A Retirement Home or Residence is a privately owned entity where tenants or residents pay a monthly fee for accommodation, meals and various levels of care (at an additional cost). The level of support is usually minimal as there is an expectation that residents can live independently and fund their lifestyle on their own. Rates for accommodation do vary depending on the “lifestyle” of each residence. In Toronto, prices range from $2,500 to over $10,000 per month. While there is no medical threshold that a perspective senior must reach before applying for tenancy, an administrator may assess needs and requirements before reaching a tenancy agreement. Having your own apartment in close proximity with others who have similar interests and lifestyles. Accessibility options (wheelchair, walker, safety equipment). Convenient services like social activities, laundry, house-keeping and meals. An environment that can adapt to your changing needs, you will pay more for more support. Often referred to as Nursing Homes and they are authorized and licensed as government-regulated residences that receive funding from the Ministry of Health and Long-Term Care (MOHLTC). These facilities are designed with better security and include 24-hour nursing supervision and care. 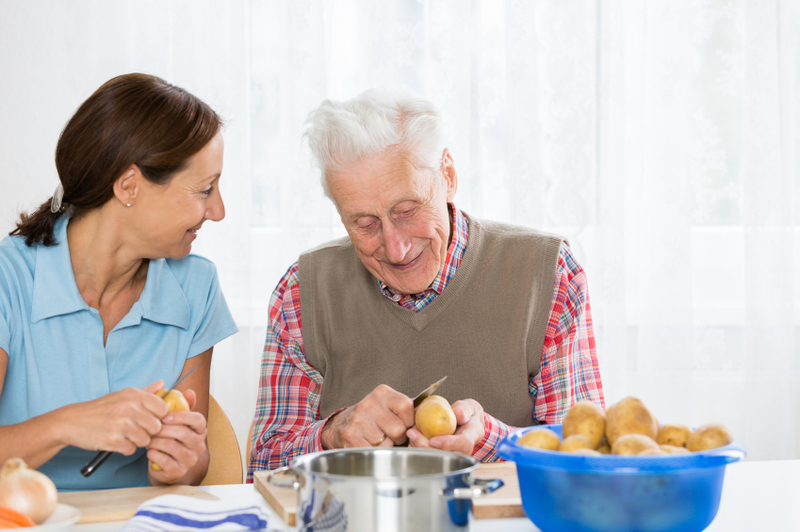 There is more personal care support available as compared to a retirement residence, but families regularly hire private caregivers as staff shortages are common. Long-Term Care facilities have a monthly rate that is co-paid by each resident. Co-payment rates do change periodically and rates are determined by the MOHLTC. Services include laundry, nursing, and basic personal care assistance and meals. In Toronto, there is a waiting list for most Long-Term Care facilities. Retire-At-Home Services advises our clients to get on the list of several facilities if this is considered an option for the future. Higher level of nursing and personal care needs are met. Assistance with all activities of daily living (ADL’s). Subsidized care from the MOHLTC. 24/7 availability of nursing care and personal care. Entering into one’s “caring years” can be complex and even daunting. Criteria for decision making, such as health conditions, mobility, and family situations can change rapidly. The good news is that there are many options to suit a variety of people and their needs, as well as truly compassionate people who will help. There is no “cookie-cutter” solution, so if you are looking for someone who can help point you in the right direction, don’t hesitate to call us.